In a recent post I documented the continuing slowdown in home sales in the County which started in May. Closer examination shows that overall sales may be down, but lower-priced homes are holding steady while homes over $300,000 have fallen dramatically. This in not surprising given that most of the demand for homes ove $300,000 comes from Toronto where the has slowed considerably. 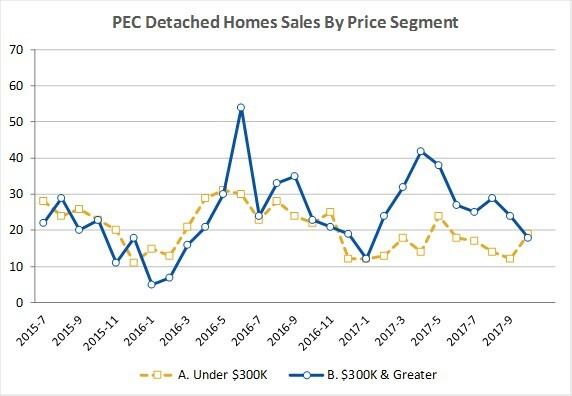 For more buyers of more expensive homes, falling demand means this is potentailly a good time to be looking.